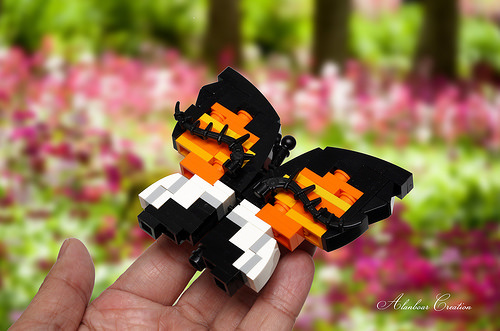 Brothers Brick regular Alanboar explores the link between LEGO art and science in his latest Butterfly Mimicry creation; his exquisite case of mounted butterfly specimens being made in honour of pioneering naturalist Henry Walter Bates. The concept of Batesian mimicry argues that harmless species, such as these butterflies, evolve the markings of poisonous animals avoided by predators. 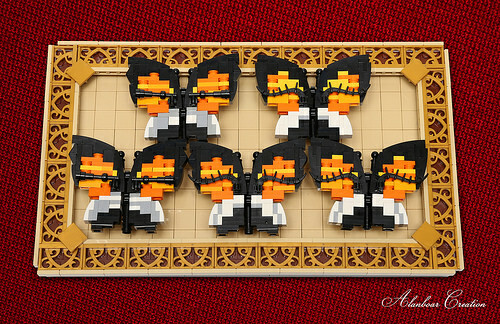 Tracing the subtle differences in pattern across these beautiful LEGO butterflies, each created from a limited set of elements, reminds me of our understanding of the malleability of genetic code and the way Bates’ work foreshadowed these discoveries.